The MSEM graduate program offers a perfect blend of science, policy, and management skills to address the issues facing environmental managers today. 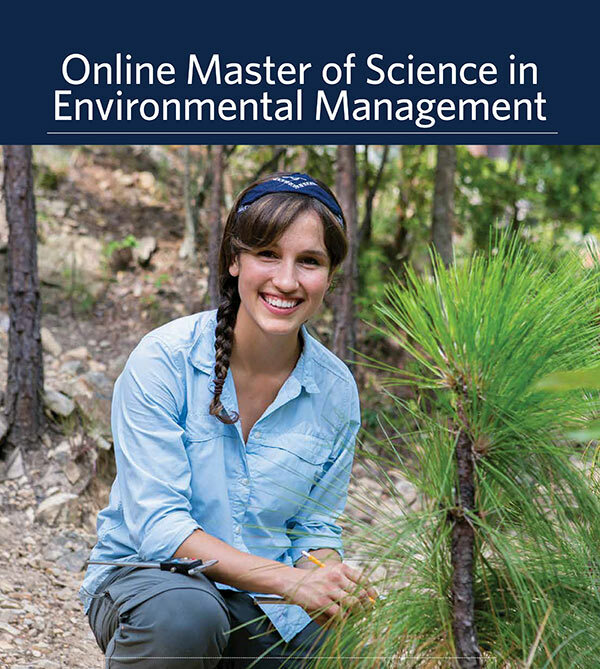 Samford University–#1 in Alabama and #3 in the region–offers a fully online, 36-hour Master of Science in Environmental Management (MSEM) degree program that will prepare you to address important environmental issues faced by industry, non-profits, governments, and individuals, regardless of your undergraduate degree or career background. The program is designed with maximum flexibility, and can be completed in one year while still allowing you time for family, work and other commitments. You can complete your study whenever you like, wherever you have an Internet connection, and still have full access to our advisers, faculty and excellent on-campus resources such as career development and library resources. Our program has a rolling admission process, meaning applications are considered as we receive them. We then make our enrollment decision within seven business days of receiving your completed application. Classes begin August 27, so learn more below, contact us for more information and Apply Now to take the next step toward your new career! 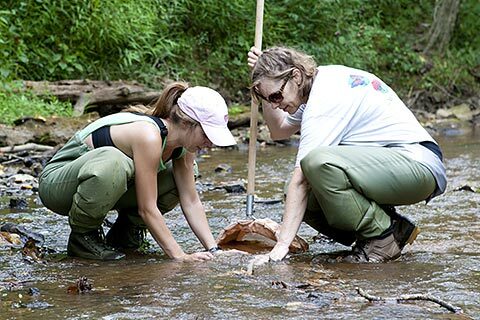 The online MSEM program will provide you with the knowledge and skills to understand and effectively manage complex, often multidisciplinary environmental issues. The program integrates policy, science, and management skills, so that graduates enter the workplace as leaders, prepared to address the challenging environmental problems of our modern world. The program centers around a theme of “ Food, Water, and Energy”. Courses on Energy and the Environment, Water Management, Sustainability, Environmental Justice, and Environmental Law, Policy And Regulations, will ensure that you are prepared for an exciting career in a growing, sustainability focused, environmental job market. .
Do you like to learn? Are you fascinated by the natural world? Are you interested in complex problem-solving? Do you want to leave the world a better place? If so, this program is designed for you. While a science background is helpful, it is not required for success in the program. This program is designed to attract working professionals and undergraduate students aspiring to enhance their expertise in the area of environmental management. The GRE is not required to enter the program. See detailed admission requirements below. While other programs lean heavily on either science or technology, Samford’s MSEM program provides a more interdisciplinary blend of science, policy, and ethical skills. This prepares graduates to approach the environmental landscape from the perspective needed by a team leader. Most importantly, our classes are taught by distinguished and diverse faculty; many of whom are currently employed in the environmental industry, bringing their real world working experiences into the classroom. This approach combines environmental theories with practical workplace applications, providing you with a great depth of knowledge and making you more attractive to potential employers. A joint graduate degree in environmental management and law (M.S.E.M./J.D.) is offered in conjunction with the Cumberland School of Law. Contact the Cumberland School of Law for more information. A joint graduate degree in environmental management and business management (M.S.E.M./M.B.A.) is offered in conjunction with Brock School of Business. Contact Beth Smith or Elizabeth Gambrell for more information. 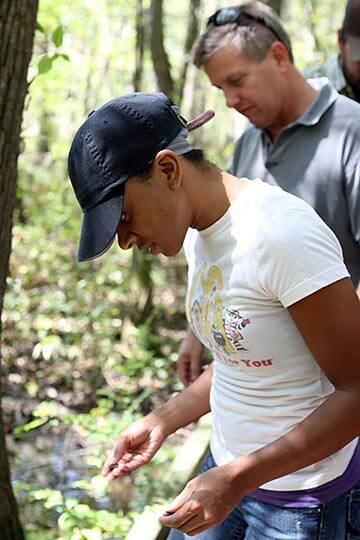 The MSEM program offers career preparation in the following ways: 40-hour HAZWOPER certification through the Hazardous Materials course, a strong internship program, directed research with faculty members on a variety of environmental topics, and opportunities to network with professional environmental organizations. Class sizes are kept small to allow for rich classroom discussions and meaningful relationships between faculty and students. 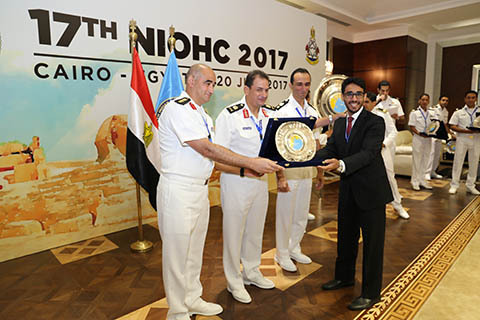 MSEM alumnus Anas Althagafi represents the Saudi Arabia delegation at the 17th NIOHC conference in Cairo, Egypt. Graduation from an accredited college or university with an overall GPA of at least 2.50. Graduation from an accredited college or university with an overall minimum GPA of 3.00. Two letters of reference from nonrelated persons. Students not seeking a MSEM graduate degree but who are interested in taking classes (i.e. Continuing Education, Workforce Advancement) may take up to 12-credit hours of courses. Upon completing the first six semester hours with no grade lower than a B, you may be considered for admission to regular graduate status. Provisional admission may be granted upon demonstrating seriousness of purpose and ability to succeed in the program. This status will be considered for applicants who do not meet all requirements for regular admission as listed above. The applicant must furnish two letters of recommendation from two nonrelated persons. If offered provisional admission, the student must complete the first six semester hours with no grade lower than a B. Upon demonstrating this level of work, the student will qualify for admission to regular graduate status. You must submit official transcripts from all colleges and universities attended. In order for transcripts to be official, they must be sent directly from the student’s college/university to the Office of Admission, Samford University, 800 Lakeshore Drive, Birmingham, AL 35229. Transcripts sent to faculty or other offices on campus are not official. In addition, MAT scores must be sent directly to the Office of Admission from the testing agency. Scores furnished from other sources are not considered to be official. Official notification of admission is communicated by letter from the Office of Admission. In the case of provisional admission, the letter may stipulate certain conditions that must be met by the applicant. While interdisciplinary in nature and accepting candidates with a variety of backgrounds and degrees, the program is heavily technical and scientific in design. Applicants will ideally have some training in the biological and physical sciences. If the admission committee notes a lack of scientific background in an applicant's preparation, it will require the student to complete a cell-based general biology course, specifically approved by the program directors, prior to taking any of the scientifically oriented courses in the program, with the exception of ENVM 501 (Biological and Environmental Chemistry). This cell-based general biology course may be an undergraduate course and will not count toward the 36 credits required for degree completion. Students in the M.S.E.M. program must maintain an overall 3.00 GPA in all graduate work. If a student earns a grade of D, F, or WF in any M.S.E.M. program course, or if his/her GPA falls below 3.00, the program director and relevant faculty must consider the student’s promise and potential for successful completion of the program. Up to nine semester credits/hours of appropriate and approved graduate coursework completed at another institution may be substituted for program course requirements. Coursework requested to be transferred must have been completed with a grade of at least B in each course. Such coursework must be the equivalent of a full semester’s work (specifically, a course taken for three quarter-hours is NOT the equivalent of a three semester credit/hour course) and be supported by official transcripts and appropriate syllabi. Acceptance of such credit is solely the authority of the program directors. All courses required for the master of science in environmental management must be completed within a period of five years from the academic session of first admission.